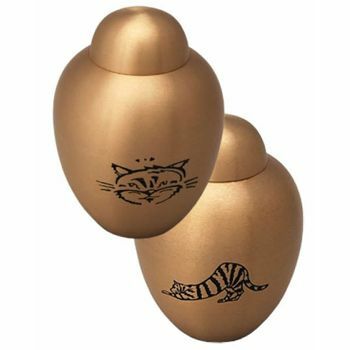 This solid brass cat urn is available in 2 designs, please choose your preferred design from the product options below.. It measures 6’’ tall with a capacity of 45 cubic inches. The ashes are placed into the urn through the top and it has a threaded lid to secure the contents.